Prior to the beginning of settlement at the start of the 1800s, the Holland River provided a water route between Lake Ontario and Lake Simcoe. Those routes have approximations today in Yonge Street and Highway 404, the two major north-south routes supporting the town. The town’s glacial deposit base rests just south of the Holland River valley and the famed Holland Marsh agricultural area, that provides much fresh produce to the Greater Toronto Area. Newmarket’s role as a support town as well as bedroom suburb for the big city is tempered by distance from downtown Toronto. Compared with rapidly growing GTA communities such as Brampton and Markham, Newmarket’s growth remains comparatively stable. As well as most other Ontario towns, Newmarket is a city on wheels. With an average household income about $20,000 above the rest of the province, the city is well off, with a diverse economy and significant commuter traffic away from the city for employment. The table below shows Newmarket car insurance cost for a sample driver. We surveyed the car insurance prices in Newmarket for the purpose of illustrating the range in quotes based on driving record, location, and other criteria. To get a customized quote, enter your postal code above. The market remains highly regulated. The Financial Services Commission of Ontario provides oversight of insurance companies. Once an insurer has rates and underwriting procedures approved, though, they have control over how they assess risk when creating policies. No two insurers underwrite precisely the same way. That provides the typical Ontario motorist with flexibility as well as price options for car insurance coverage. Since every car using Ontario roads must be insured, minimum costs follow mandatory coverage. No insurer sells policies with less than basic insurance prescribed by the government. The best way to maintain low auto insurance rates requires a driver to keep a clean record, with no traffic tickets and no insurance claims. Life happens, though, and sometimes a motorist needs other ways to moderate insurance pricing. Drivers in Newmarket may own their own home, or have more than one car in the family. Some insurers award discounts when both home and autos are insured together. Multi-vehicle and multi-driver discounts are also popular. Discounts apply to other conditions too. Retired drivers, motorists over 55 years old as well as those maintaining a clean driving record for a consistent period may also qualify. Insurance companies don’t usually add discounts automatically, though. A motorist must inquire about both the availability of and qualification for discounts. Every insurance company has its own discounts and way of handling the application of these. Adjusting coverage for the various components of a car insurance policy can also reduce rates, though there are protection trade-offs. Raising deductibles on collision and comprehensive coverage lowers premiums. In return, a driver must pay more out of pocket when an incident occurs. Maintaining statutory minimum coverage for both liability and accident benefit coverage produces the lowest policy rates but may leave a motorist financially exposed. Lawsuits arising from serious accidents produce settlements exceeding the $200,000 minimum required coverage. Recent adjustments to statutory accident benefits cut payments from insurers in half in some cases. Highway 404 runs along the east side of Newmarket, providing the easiest highway access to Toronto. Highway 404 runs between the 401 in the south to just south of Keswick at its current termination. Plans are in the works to extend the 404 to Beaverton, along the eastern shore of Lake Simcoe. Davis Drive connects the city with Highway 400, to the west through King Township. Yonge Street, once part of Highway 11, is now Regional Road 1 through Newmarket. It remains a 4 lane or greater route south to Toronto, passing through Aurora and Richmond Hill. Main Street and the traditional downtown of Newmarket lies east of Yonge Street, near Fairy Lake, created as a mill pond in the city’s early days. The intersection of Yonge and Davis serves as a commercial hub that travellers may mistake for the city centre. Newmarket motorists access the 404 through Green Line, Davis Drive and Mulock Drive. Besides Davis Drive, the next 400 access directly off Yonge St. goes through King City on King Road. 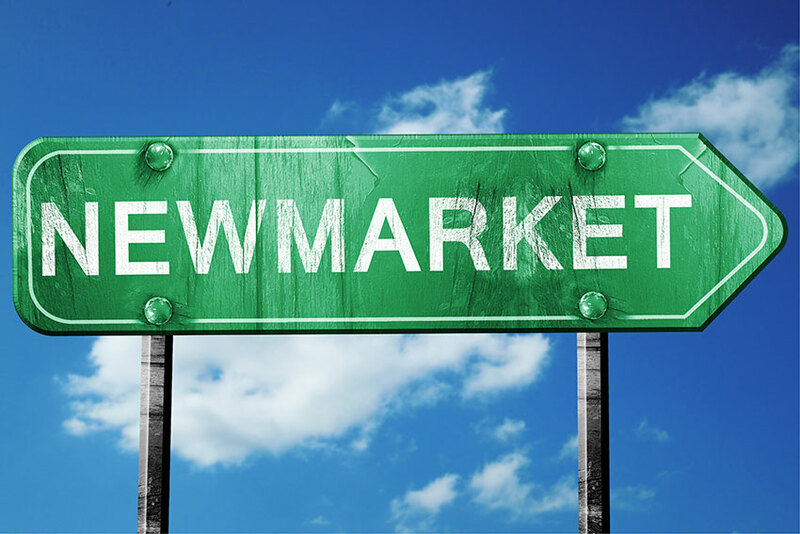 The City of Newmarket provides road closure information on its municipal website. 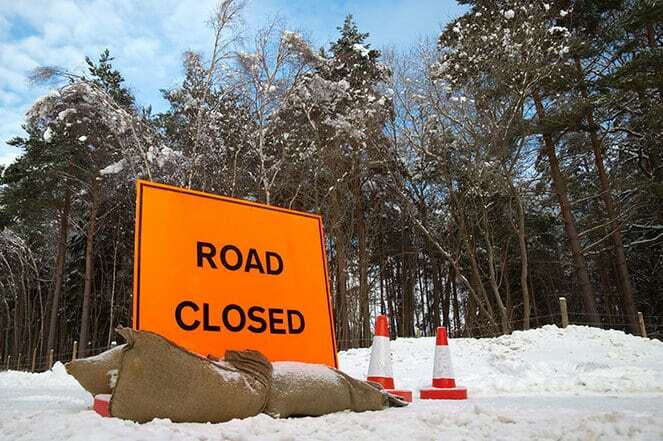 York Region provides similar road closure status for the area surrounding Newmarket. The Ministry of Transportation for Ontario carries a 511 Traveller Information traffic report for York Region, including Newmarket. The Weather Network provides frequently updated local forecasts for the Newmarket area. Newmarket’s DriveTest Centre is at 320 Harry Walker Parkway South. Two ServiceOntario locations serve the town at 17480 Yonge Street, C9, and 18183 Yonge Street, #1. Highway 404 added high-occupancy vehicle lanes, one of several GTA 400 series highways to feature these. GO trains provide commuter rail service both north to Barrie and south to Toronto. There’s no other intercity passenger service, such as VIA Rail. York Region Transit operates the Viva Blue bus rapid transit system between the Newmarket bus terminal and the Finch bus terminal in Toronto. This includes a bus-only rapidway along Davis Street. The Guinness Book of Records erroneously maintained for years that Yonge Street was the longest street in the world. Though once considered part of the full Highway 11 route, which extends to Fort Frances in Northwestern Ontario, Yonge Street proper has only ever reached to Barrie. Newmarket’s downtown area, protected from heavy commuter traffic by Yonge Street to the west, has well-preserved examples of 19th-century buildings. In 2013, the downtown area received recognition as a provincial heritage conservation district. This protects many of the buildings in the downtown core against demolition or alteration. The best car insurance rates in Newmarket are easy to find with Ratelab’s car insurance calculator. Simply enter your home postal code below and walk through the simple steps to match your needs with Ratelab’s auto insurance partners.